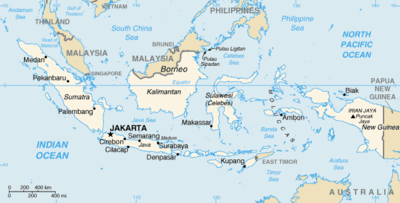 This is a list of official cities in Indonesia. They are organized by major island or region. The population numbers are based on data from 2005. This page was last changed on 23 April 2019, at 00:47.